Goose Island Honker's Ale. A rare breed this in so much as it's an American brewer trying to brew a British beer style. The aroma is amazing, you could smell this beer forever and not get bored of it. It's the hoppy assault of an American Pale Ale but with UK hops. You get grassy, spicy notes in abundance and then a subtle toffee behind that. It's light in the mouth with some gentle sweetness up front, the hops then power through and it's all finished off by a crisp bitterness. Gorgeous. Only criticism being that its a tiny bit thin in the mouth and could perhaps do with a touch more sweetness. Incredibly refreshing and incredibly drinkable. Brains Honest Ale. A subdued aroma that hints at honey and some estery banana fruit. On the palate it starts with a slight sweetness, that fruit comes through, becomes almost soapy and then makes way for a dry bitter finish. There's an unpleasant metallic note that runs through both the aroma and flavour. Not a complete dud, but definitely one I can't see myself rushing back for. Val-Dieu Abbaye Blonde. An authentic Belgian blonde ale that, at 5.5 per cent, is one of the strongest beers in the festival line up. 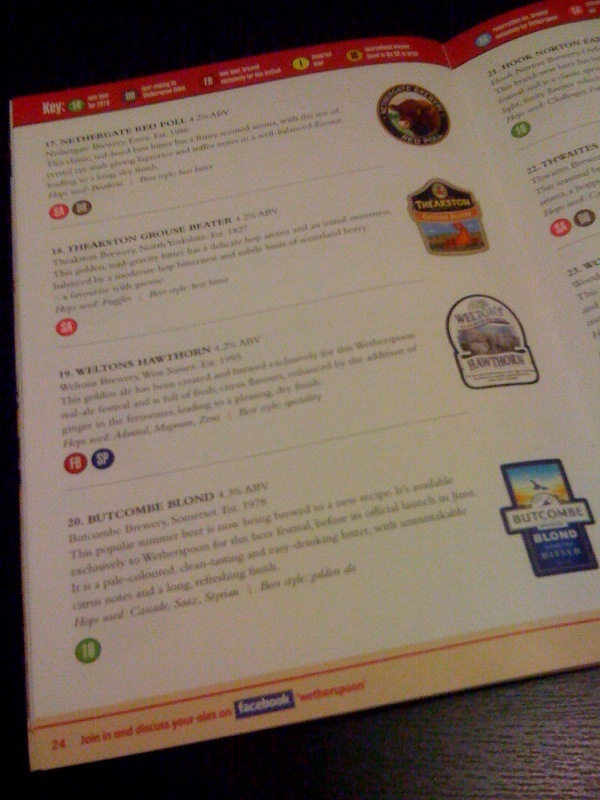 What is it with CAMRA and beer styles ... this one's in the programme as a "Strong Bitter". The nose is dominated by floral perfume and some honey. On the palate you get boiled sweets, berry fruit and a wheaty-maltiness. Not bad in a third measure but I wouldn't want more than that. Herold Black Chalice. More CAMRA bizarreness with this one, the pump clip makes a point of stating "Schwarzbier" yet it's in the programme as a stout. Why? Anyway, it pours a deep black colour with a big, creamy head. The mouth feel is really, really smooth. 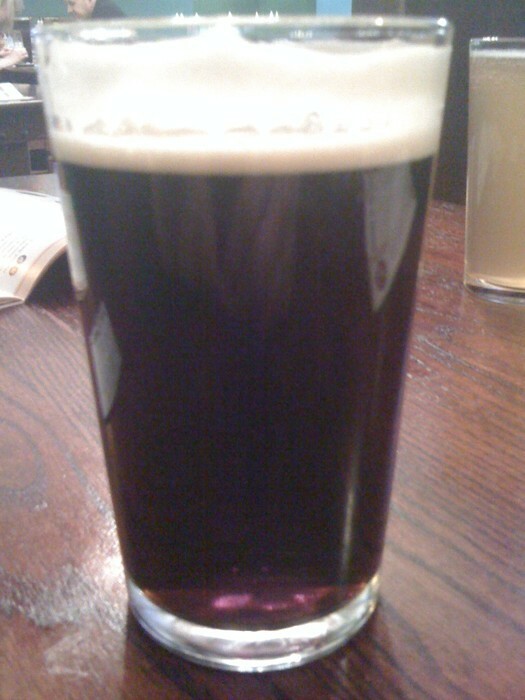 You get some subtle roasty flavour and then a ton of chocolate in the finish. There's enough bready malt there to remind you that this has roots in lager camp, but it does blur the boundaries a bit, delicious nonetheless. 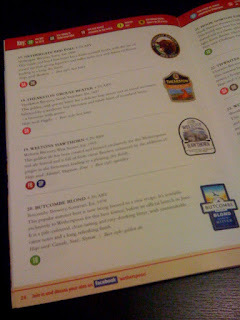 I'm assuming that the programme and tasting notes were put together with the aid of CAMRA. If not, I apologise ... the random categorisation criticism should be aimed at Wetherspoon's. Had Honkers in Rochester Spoons. It's one of my favourites beers in the world and I had big hopes for it out of the bottle. It stank, badly It tasted of water with a dash of barley. I'm presuming ill kept or mistreated because I just can't believe it could be that different from bottle to cask. Hoping to see it come on elsewhere and be better! Yeah, that sounds like a one off. The one I had could be described as a bit thin and watery but the aroma was lovely! I don't think you'll find it as good as the bottled version, but it's still pretty decent.